Better balance, awareness & reflexes to avoid injuries due to accidents & falls. Reduce stress, relax and exercise to turn back the clock of aging. To study Tai Chi & Kung Fu forms is to be a student of detail. Mr. Yu would say that within the forms are secrets - it wouldn't help at all if he just told you what they were because to use them you had to discover them for yourself. But he encouraged all of his students to have great respect for the form as it leads to effective push hands and self defense as well as improved health an efficiency in everything you do. Tai Chi must be studied before Kung Fu. Slow meditative forms to investigate principles. Push hands to test forms if desired. Controlled use of force for martial effectiveness. Clear lines of movement to generate power. Balance on single weighted leg. Step only after fully balanced on one leg. Health benefits come through self defense. In tai chi practice, one practices solo forms slowly to investigate principles. The form itself do not teach self-defense. They teach skills that you can master by meditative investigation as you practice. In the absence of any pressure from an attacker, you can study how to root to the ground. Then you study how to connect your body from feet to hands so it functions as a single unit. Then the body can receive the power of the attack and release it without sustaining any damage. You learn to control the attackers force and defend yourself with minimal harm. After studying the 108 move yang form, other forms such as Shaolin Kung Fu show how to use physical force and ultimately marry the physical force with the mind force of the tai chi forms. Then the practice of push hands competition can be used to test ones understanding of the forms. For those interested in extensive study of partner practices in self-defense, the aikido system engages in partner practice as self-defense exclusively. Many people came to my teacher looking for improvements in their health through tai chi practice. In fact, I did as well. 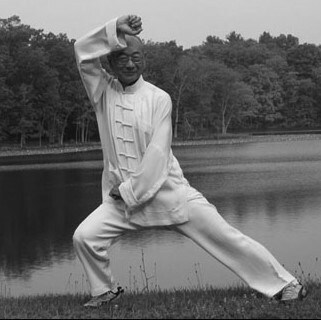 He would frequently tell people that if you want to improve your health through tai chi, study it for self-defense. Then your health would improve. I certainly found this to be true for myself. The point is to study the movements for their function, their purpose. Then you can investigate and understand them in depth. By studying the principles, you can learn to relax the body and allow the natural healing mechanisms to operate in full. However, by worrying about one’s health, the stress interferes with the healing process. Depending upon your medical condition, consultation with your doctor, whether western or Chinese medicine, may be your best place to start. However, tai chi is a wonderful form of exercise to improve balance, strengthen the legs and joints, improve energy levels and calm the mind. My teacher often said that in tai chi, you have to learn patience. The form places you in uncomfortable positions. You have to learn to relax into them and become comfortable in an uncomfortable situation. Then if you develop patience, you have everything. He looked at the forms as containing deep secrets not only for self-defense, but also learning the most effective way to accomplish a task. Once you know the most effective way to do one thing, you can generalize that to every endeavor. As a result, he had a deep sense of respect for the form. That respect, when shared by the student, leads to much deeper levels of learning. For that reason, we don’t teach the forms quickly – many movements at one time. Learning is very shallow that way. Instead, we respect the practice and learn one move at a time, and try to study it in depth. With respect and patience, we gain far greater benefits.